Known for incredible wildlife and undeniable beauty, Ketchikan, Alaska has become one of the most desired stops for Alaskan cruise ships. The port of Ketchikan welcomes tourists who want to enjoy the best that Southeast Alaska has to offer including day excursions for fishing, whale watching or simply take in the sights. Anglers Adventures & Outfitters provides top of the line experiences that can be customized to maximize your time in one of the most beautiful places on earth. If your idea of a memorable off-ship day trip includes a fantastic fishing charter, whale watching with an experienced guide or gazing at sea lions and eagles in their natural habitat, Anglers Adventures & Outfitters has an Alaskan cruiseship excursion for you. Cruise Ship Coming To Port in Ketchikan, AK? Ketchikan, Alaska offers the perfect blend nature, culture and adventure. Nowhere else can you find these amazing views and close encounters with wildlife and sea life that roams freely in nature. A large selection of cruise ships dock in this historic town so that visitors can plan their own day trip excursions. Depending on your taste for outdoor adventure on the water, you can catch a glimpse of an enormous whale tail or catch your limit of large, wild caught salmon. Ask anyone who has been on an Alaskan cruise vacation and they will probably tell you that a highlight of the trip was found on an off-ship day trip. Ketchikan, Alaska is called the Salmon Capital of the World. Therefore, one of the most popular day trips involves a fishing charter excursion with Anglers Adventures. Our professional fishing guides can show you where and how to reel in really big fish. Want to see a whale tail emerge from the water and gently sink back under the water? Does the thought of watching killer whales compete for King Salmon sound exhilarating? How about viewing sea lions basking in the sun in their own little cove? Wildlife watching excursions from Anglers Adventures & Outfitters provides a perfect opportunity to bond with nature while enjoying the comforts of a modern 28’ boat. If your dream of a vacation cruise to Alaska has finally come true, don’t pass up the opportunity to enjoy every minute of your stay in the port city of Ketchikan. Popular off-ship outings are some of the most memorable facets of an Alaskan Cruise. Anglers Adventures & Outfitters wants to share our love of this cruisers’ choice Top Rated Alaska Destination for 2016 and 2017. Plan an awesome guided fishing charter, whale-watching trip, wildlife sightseeing excursion or all of the above while enjoying your day in beautiful Ketchikan, AK. 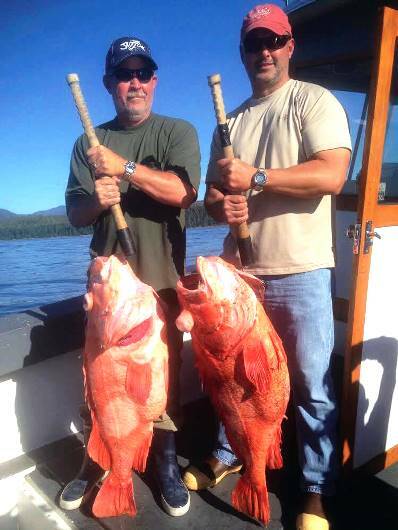 Request a custom cruise ship excursion with Anglers Adventures & Outfitters at (907) 254-0880.